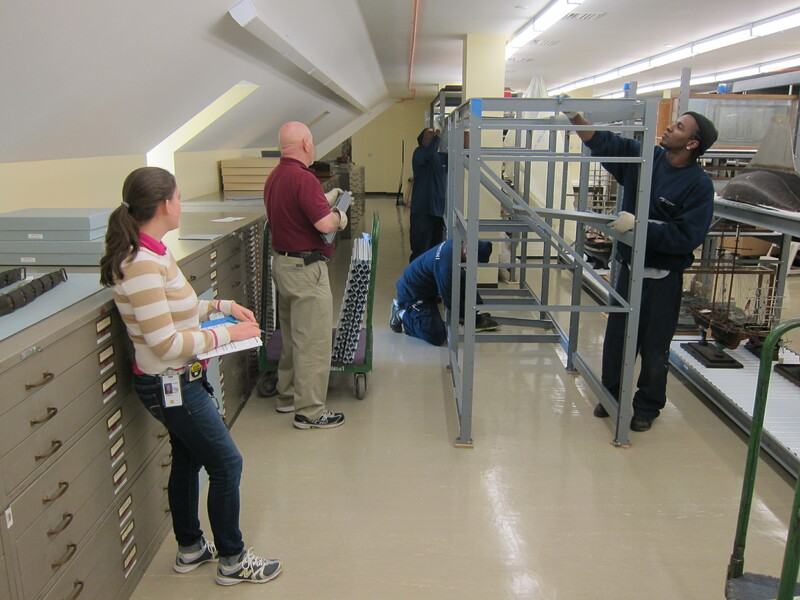 To prepare the lower levels of the historic Library building for the next phase of renovation the Museum staff is moving all 35,000 artifacts to the attic floor. ARTEX Fine Art Services is assisting the staff with the move. The massive museum collection—including campaign memorabilia, ship models and naval prints, clothing and presidential gifts—will be returned to storage on the basement level after those spaces are fully renovated in early 2013. The new permanent museum exhibits—designed by Gallagher and Associates and scheduled to open in summer 2013—will feature many items from the collection that have rarely been seen by museum visitors.